« Reiki I & II Classes Rescheduled! 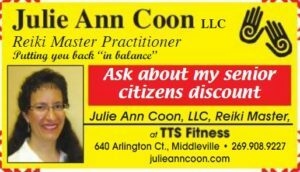 Not many people know that I offer a Senior Citizens Discount for people 65 years old or older who schedule Reiki Therapy sessions with me. Times are tight and if you are a senior citizen, you know what “stretching your dollar” is all about! Yet you, of all people, need the healing energy of Reiki more than most. Arthritis, back pain, high blood pressure, and so on, can be stressful to live with. Go to my “pricing” page to check out your special discount! Don’t suffer any longer! Contact me today!